Interested in trying out the life-changing sport of rowing? Our 4-week Learn to Row program is an excellent place to start! 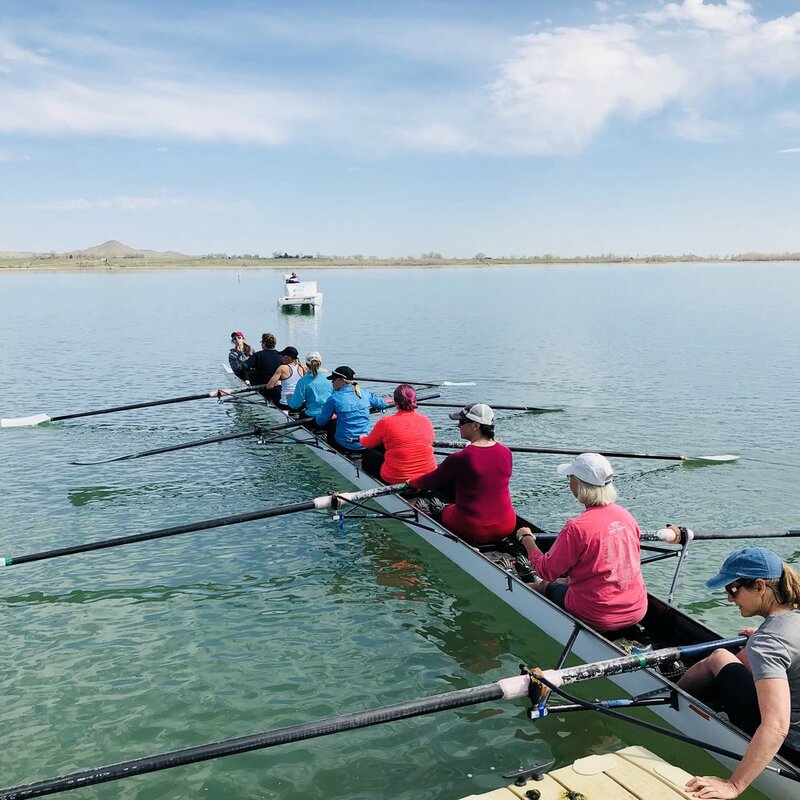 Starting at square one, our 4 week Learn to Row program will teach you everything you need to know about rowing. A primary focus is safety and injury avoidance. Upon completing this program rowers will be ready to advance to the BCR Novice Program. The program will begin with an overview of the features of boats, oars and other equipment. This will include an overview of seat assignments and coxswain commands. Next is learning how to properly carry boats as a team and get them into and out of the water. Once on the water in a boat, the focus becomes learning the stroke sequence and oar handling. To keep the boat stable, we will begin rowing by pairs and work up to all eight rowers rowing simultaneously. Stroke sequence can be difficult to master while on the water. A fantastic perk of this program is that you will be taught stroke sequence on ergometers by our Head Coach Veronika Platzer at our indoor training facility. Monday and Wednesday, 7:00 - 8:15am at Boulder Reservoir. Friday, 7:00 - 8:15am at Mountain’s Edge Fitness, in the Boulder Broker Inn. Participants do not need to pay the BCR Membership and Equipment Fees to take this program; they are waived for the first month. They will have the opportunity to become a member after completing this class. Three signed waivers - you must be able to swim, as outlined in the swim waiver.